We’re proud to present Will Tidey, our latest Q & A guest! 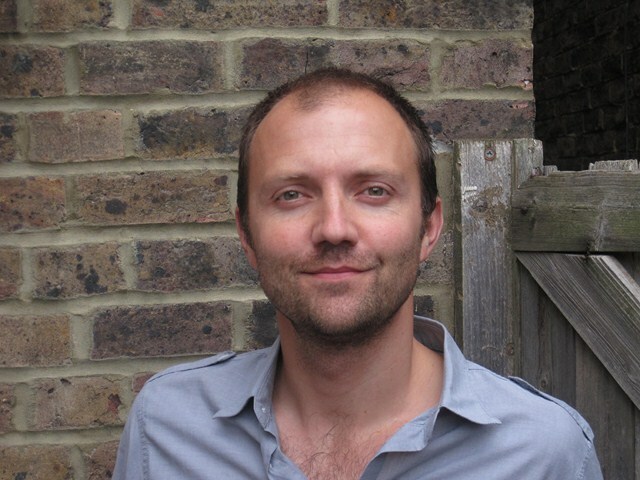 Will is an experienced sports writer, editor and broadcaster, with specialist knowledge of football. 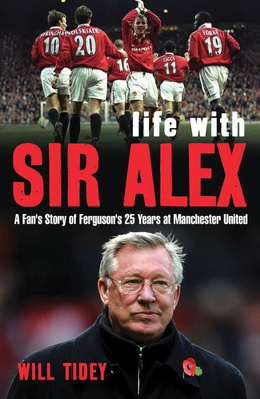 He’s currently World Football Editor and Lead Writer at the Bleacher Report, contributor to ESPNsoccernet and author of a book Life with Sir Alex: A Fan’s Story of Ferguson’s 25 Years at Manchester United. In Fieldoo’s interview Will talks about football, (sports) journalism, social networks and much more. Happy reading! Q: As a great football expert you’re more than competent to tell us how you see the reality of football; its popularity, salaries, transfer fees, financial situation? A: Football is the biggest sport on the planet in terms of audience, that’s beyond dispute. Financially speaking, players command astronomical fees and make comical amounts these days, but you’d have to argue they’re only paid in respect of the money they can generate. However, the level of spending – especially from the big European clubs – is clearly not sustainable when you see the debts racking up. And that’s why UEFA’s financial fair play rules have been brought in. Hopefully they’ll ensure clubs are running with fiscal sensibilities moving forward. Q: Over the years, sports journalism went through major changes – moving from offline to online. With real time news – thanks to Twitter – the information has a different value. 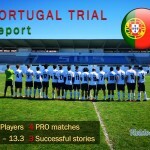 How would you describe the current situation and the trend sports journalism is going towards? A: Twitter has been the biggest thing to happen to sports journalism since the internet. It’s changed the way fans access breaking news and also added another level of debate to every sporting conversation you could ever want to have. While print journalism is still alive, there can be no doubting the ever-growing emphasis on online coverage – with major newspapers breaking news online and able to be far more flexible in terms of what they can do, how much they can do and when they can do it. A: I think Twitter is a great way for footballers to connect with fans and grow their fan base. The important thing is for them to be aware of how powerful it is, and to always act within certain guidelines. Q: You’re author of the book ‘Life with Sir Alex’. Why did you write it? A: I became a Manchester United fan just as Sir Alex Ferguson was taking over at Old Trafford. He’s all I’ve known and his decisions have defined my support for the club and had a big impact on my enjoyment over the years. When I had the idea for the book it felt like the most natural way to get all that down on paper. Q: Tell us please, what could all footballers learn from Sir Alex Ferguson? A: Aside from his remarkable drive and tenacity, I think Ferguson’s greatest asset is his ability to connect with people from different walks of life and get the best out of those around him. He’s a chameleon in that respect – and you only have to look at the variety of characters he’s inspired at United over the years to see that in evidence. From Eric Cantona to Gary Neville, he has that special something that makes players want to go to war for him. 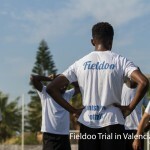 Q: Fieldoo.com is Sports Career Network for footballers & agents, seeking opportunities and challenges. It allows them everywhere to showcase their skills to help boost their career. How do you see this initiative? A: It seems like a very worthwhile project to me. Anything that improves communication and transparency in our business should be warmly received in my opinion. Q: Last question: we know you’re a Manchester United fan, but we don’t know who’s your favourite football player? And who in your opinion is the most promising young footballer? A: My favourite player right now has to be, rather predictably, Lionel Messi. He’s a quite sublime talent and the best I’ve seen play since Maradona. From the past it’s a close-run thing between George Best, who was a genius the likes of which we may never see again, and Eric Cantona, who made it all possible for Manchester United. As for young players on the right trajectory, I think both Eden Hazard at Chelsea and the Brazilian Neymar will rise to be considered among the very, very best.